Samsung Galaxy Note 4 is going to be unveiled in 2014. It is expected to come with features that will change consumer experience and while this is the case, it is essential to gather all the information there is about the model. As is the case with the unveiling of most phones, the Galaxy Note 4 has attracted a lot of rumors as far as the build and size is concerned. Rumors suggest that this model will come with either a metallic or glass back but this will only be proven in time. The phone’s display has also attracted rumors from different quarters. Samsung is known to increase the size of its screen by a standard 0.2 inches. However, with the increasing demands from fans for a larger screen, there is a possibility it will feature a larger screen than the 5.7 inch of Note 3 which will be a major thrill for consumers across board. There is nothing much to be said about the price of Note 4 at the moment. Based on previous releases though, it is expected the price will be similar to that of Note 3, 2 and 1 released before it. However, this is yet to be seen once the phone is released. Specs of Samsung Galaxy Note 4 are expected to be far better and improved. It is expected to feature 64 bit processor. The co-CEO of Samsung promised the processor would match to that of Apple’s iPhone 5 during an interview with Korea Times. Samsung confirmed that 2014 handsets are going to have this processor and while they were not specific on which models, there is no question Note 4 is on the list. The company has also confirmed it is developing 64 bit chip which is based on ARM designs. Once they master the technology, they will optimize it though the initial release will be strictly based on ARM. Reports on the kind of camera to expect from Samsung Galaxy Note 4 started streaming in at the start of November. Most of these reports indicated Samsung was working on a 16 megapixel slimline smartphone camera. The camera is also said to have OIS (optical image stabilizer) technology. So far, there is just one smartphone from Samsung with OIS and that is S4 Zoom. Based on the release dates of other Samsung phones, Galaxy Note 4 is expected to hit the market sometime in September. 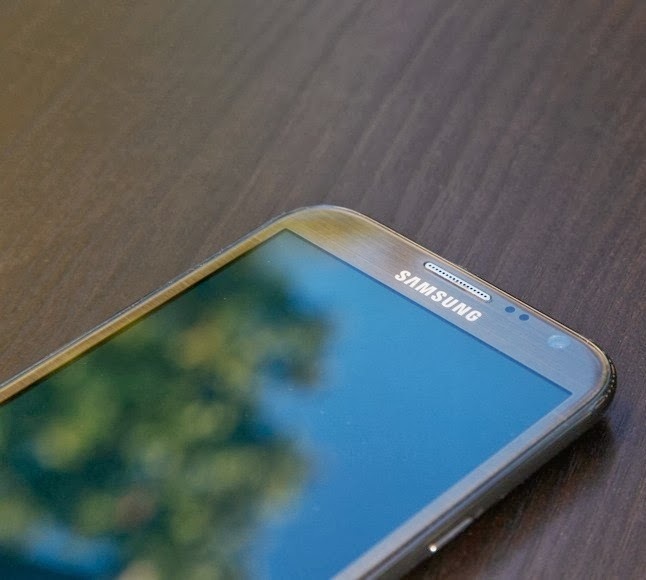 It is worthwhile to keep an open eye for the release of Samsung Galaxy Note 4.